It’s Time For the More Important Things in Life. Brian and Dee Jimenez started their custom home building career over 25 years ago building ranch style homes in the Loveland area. 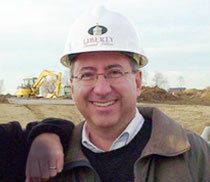 During this time, partner David Haid, was establishing his own home building and developing business which included the development of the highly regarded River’s Bend – TPC golf community in Mason. 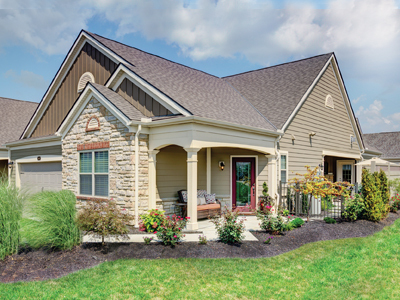 Today, their partnership along with builder/developer Tim Haid, presents Liberty Grand as a premier carefree lifestyle community in Liberty Township. 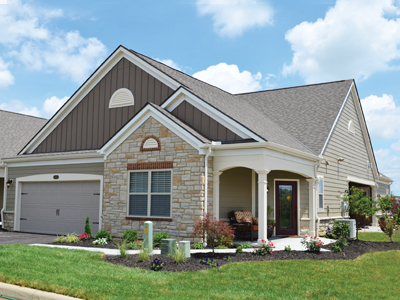 With all of this combined experience, Brian, David and Tim, two time recipients of the Central Ohio Builder of the Year Award along with our Liberty-Grand sales team, offer personalized touches to our Liberty-Grand homeowners. 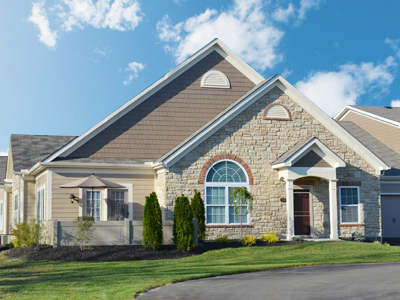 Jimenez-Haid continues to build custom homes at Tartan Fields and other communities in Columbus and are currently building courtyard condominiums at Walker Villas in the Marysville, Ohio area. 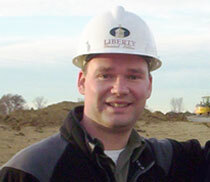 Brian, a two-time “Builder of the Year” award recipient, has earned a respected reputation in his 25 years’ experience building ranch style, low-maintenance, carefree lifestyle homes for families throughout Central Ohio. Tim has extensive development and residential construction experience that supports his focus on the big picture and his follow through of project details. 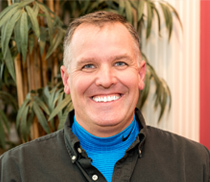 John brings 25 years of custom homebuilding and construction experience to the job each day as he provides the on-site supervision and coordination of our team of suppliers and contractors. 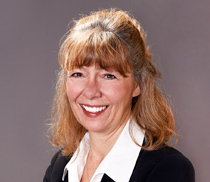 Cathy brings 20 years of home sales, specializing in new construction condominiums. 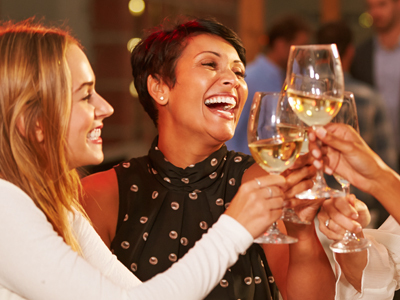 Cathy has sold over 250 condominiums in the area and she knows what it means to call your new lifestyle home. As a member of the BIA we support and promote the industries’ ethics and the dream of home ownership. BIA supports the community and its members through professional development, legislative outreach, industry promotion and charitable efforts. This annual award and honor is given to one builder member for encouraging the American dream of homeownership, maintaining professional excellence, and supporting the standards and policies of the BIA. Our mission is to assure fair housing protection in the general housing market, as well as civil rights protections in the policies and programs of HUD without regard to race, color, religion, gender, national origin, family status, disability or age.